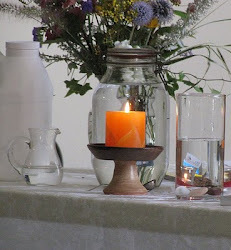 UU A Way Of Life: Where is the Divine Spark to be found? Where is the Divine Spark to be found? Peace Pilgrim said something like, "I look for the Divine Spark in every person I meet and when I find it, I focus on that." 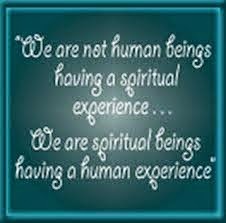 We all have a Spark of the Divine within us which makes us a part of the whole of God's Mind. Unitarian Univeralists know this because they covenant together to affirm and promote a respect for the interdependent web of existence which, of course, we are a part. 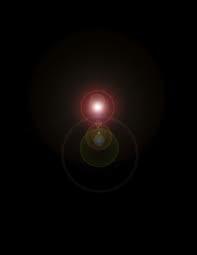 Osho says, "On a pitch-dark night, even a single ray of light is a blessing because if you follow it, you will reach the source of light." 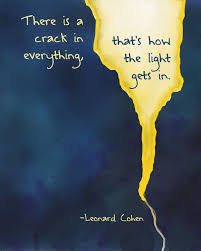 Leonard Cohen sang in his song Anthem, "There is crack in everything; that's how the light gets in."